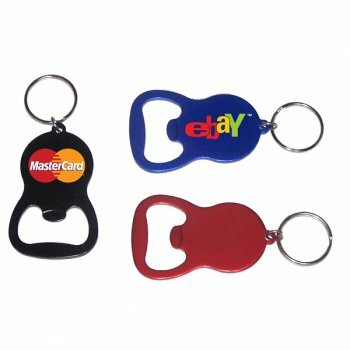 Custom round bottle opener keychain makes one eligible gift throughout the year because it is loved by enthusiastic customers. This bottle opener keychain features bottle opener and split keyring, which screams long service at single time investment. This bottle opener keychain is light in weight and users can retain it within their pockets or bags with ease. It is perfect gifting choice for marketers targeting party goers, fun seekers, etc. Beer parlors, wineries, party planners, and many others can avail it for bulk gifting. 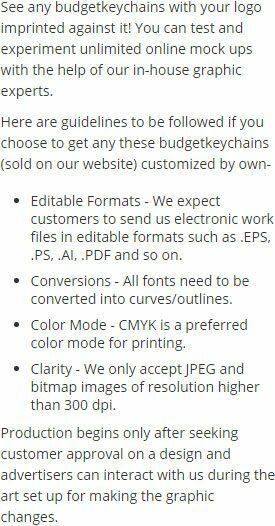 Request a quote to know discounts offered on this customized round bottle opener keychain. Product Size - 3 5/32" x 1 7/16"
Product Size : 3 5/32" x 1 7/16"
Product & Design Quality -Look and feel great! Customer Service & Shipping - First order was wrong but it was fixed quickly and fairly!